I have never visited an optometrist and had all the terminology/findings explained to me. Dr. Amir managed to do that todaywith great detail. I am appreciative to have found a new provider to visit every year. I have never visited an optometrist and had all the terminology/findings explained to me. Dr. Amir managed to do that today with great detail. I am appreciative to have found anew provider to visit every year. I am pleased by my exam with the doctor. There was not a long wait time. and the process was notlong at all. I am pleased by my exam with the doctor. There was not a long wait time. and the process was not long at all. A reliable and trusted optometrist, Dr. Sara Aamir is committed to catering to the locals of Alpharetta and Marietta, GA. She currently practices at Dr. Marvin Howell's practice and ensures better eye health and good vision for the community. Dr. Aamir attended the Salus University, Pennsylvania College of Optometry, where she received her doctoral degree in optometry. She believes in keeping up with the fast-paced technology and making maximum use of advanced techniques to relieve eye issues. Dr. Aamir believes that the eyes are the windows through which you can view the beauties of the world. 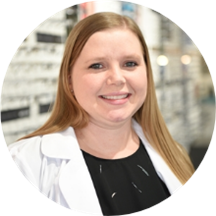 She strives hard to educate her patients on proper eye care and encourages them to focus on improving their ocular health. She was so good. I had to bring my 2 kids along for the visit and she even allowed them to sit it the examination room with us. She is very personable and patient. I will be back next year. AMAZING VISIT! This doctor is top notch and knows what she is doing!